Sim racing is relatively new to esports but it undeniably offers something different. If you’re good at Call of Duty, there’s nothing to say that you’ll be accurate with a gun in person – the same goes for playing FIFA and being able to strike an impressive goal, although it’s definitely no guarantee. With sim racing, however, in-game skills may well bleed over into real-world racing. McLaren is well aware of this and utilises the opportunity of digging through the plethora of unearthed racers that compete through simulations to recruit some of the very best. 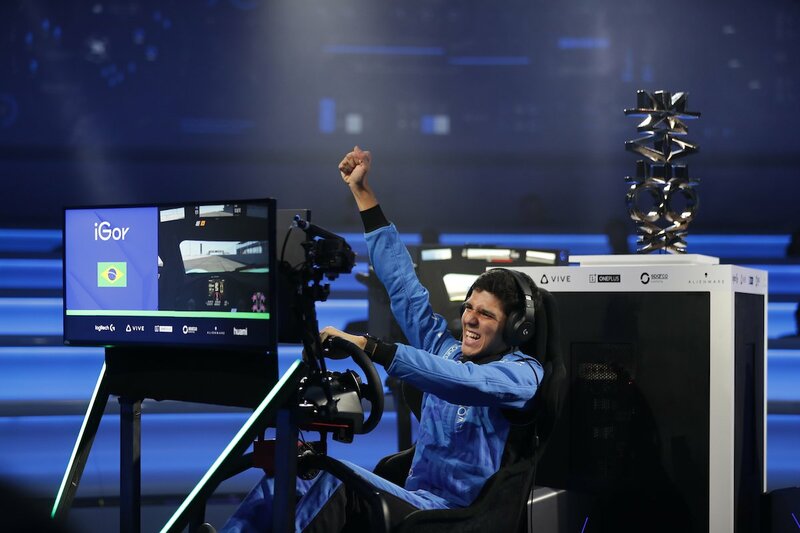 Rudy van Buren competed in, and won, the Formula 1 team’s sim racing event in 2017 and proceeded to impress both virtually and on the real track. 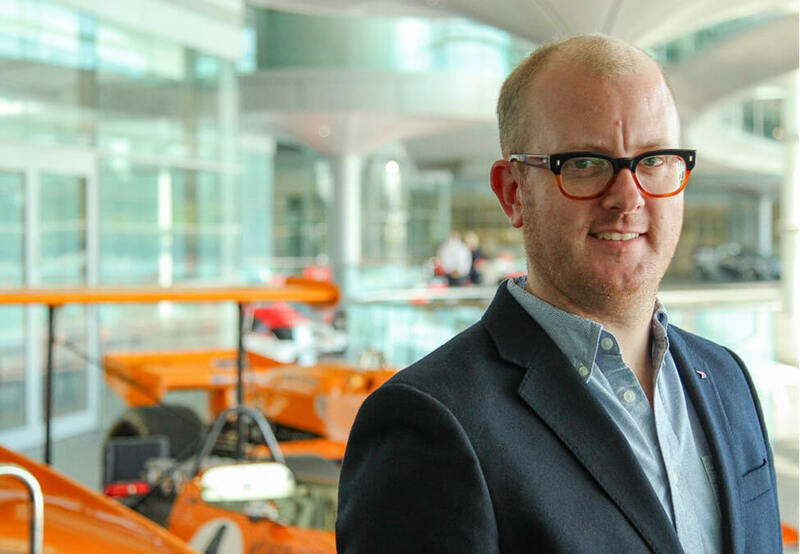 We spoke to Ben Payne, Director of Esports at McLaren when we attended the McLaren Shadow Project Grand Finals at the company’s headquarters in Woking, UK. We discussed his entry into the industry, how the program came about, and securing high-profile partners. Esports Insider: What was your involvement in both racing and esports before joining McLaren? Ben Payne: I hadn’t done any motorsport stuff prior to joining McLaren but when I was at Xbox, I used to run partnerships so touched base with the likes of Playground Games and Turn 10 Studios. From an esports perspective, my other role was to run events for Xbox. I used to run Gamescom which housed esports obviously. Back when Xbox One was launched, I ran an event with Attention Seekers for Battlefield V. It was Europe vs US, 32 vs 32, live on Xbox Live. So yeah, I had esports experience beforehand but nothing like this. ESI: What made you want to turn the recruitment process for McLaren’s esports team into its own standalone, streamed event? That’s an unusual practice in esports. BP: We’ve got a blank piece of paper. We’re not in the world of Overwatch, or the likes of FIFA and NBA, where there are franchises. When we entered with World’s Fastest Gamer in 2017, this ‘champion of champions’ approach seemed good and we gave a job away at the end of it. We were going to be recruiting either way so why don’t we make content to show how close the virtual can be to the real and what the recruitment process is like. Someone asked me the other day about how much of our program is actually an esports program – these people are competing and we’re also recruiting into the esports team. ESI: Why did you choose YouTube over other streaming platforms for the McLaren Shadow Project? BP: It’s linked to the games we play. One of the differentials we have is that our games are age-friendly. Non-endemics don’t want to touch some of the more violent-nature games, most of the racing games are 7+. Therefore, YouTube was a slightly friendlier place to play. Last year, we streamed on Facebook, Twitch, and YouTube. We’ve picked YouTube because they’re a great partner for us by giving us some great exposure and it looks slightly more friendly. We love our friends at Twitch but YouTube fit best this time round. ESI: Congratulations on your recent partnership with Huami! Is it easy to secure partnerships when you’re working at a brand such as McLaren? BP: I was at CES recently talking as part of our relationship with Alienware on how it’s powering our program. Logitech G has been a great partner of ours and I’m pleased to see them as happy as us about how the Shadow Project has gone. HTC Vive allowed us to do a virtual reality qualifier in China and to host a VR on-track race, which is no mean feat. Huami has allowed us to pull data to an unprecedented level from the human performance activities. 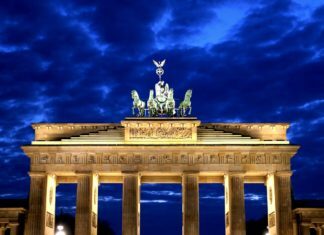 People implement human performance testing in their programs but we’ve gone into a lot more detail. This data is coming out of Shadow Project, back into McLaren Applied Technologies, and applied to a program they run to come back to Shadow Project. Our partners are all endemics and it helps to bring them in when you’ve got this brand and setup. ESI: It’s often said that sim racing skills transfer into real-world driving particularly well. Has McLaren applied anything from its time in esports into its other side? BP: Rudy van Buren, who won the competition last year, and has been in the simulation for over 20 days in the last year. He’s helped us to affect our Formula 1 car, and he’s also beaten our current Formula 1 driver on the track at the Race of Champions. We have the ear of the entire business of how we are trying to be bleeding edge in esports and in technology. I think it’s shown the industry that McLaren looks for new opportunities. ESI: What does your esports development program comprise of? BP: It depends on the person. If somebody wins the Shadow Project and wants to purely race real cars, we can tailor it accordingly. Rudy van Buren has done sim stuff, car stuff, and we kept it based on his appetite. As we work with Igor Fraga over the course of the 12 months – and hopefully beyond that – we’ll simply see what he wants to do.